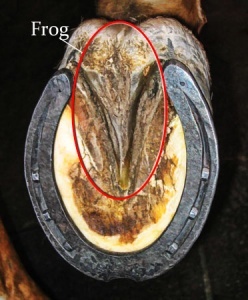 Why is the bottom of the horse’s foot called a frog? One of the oddest names for a horse’s body part is called the “frog.” It is triangular in shape and located on the underside of the horse’s hoof. 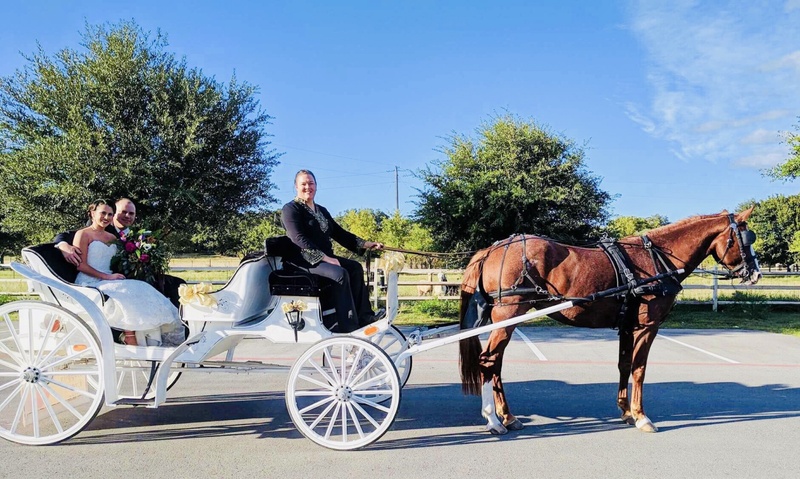 The frog acts as a shock absorber for the foot when it makes impact with the ground and is also an important part of the horse’s circulatory system. But just how did this part get its name? There are multiple theories, but no definite answer. One of the talismans early horsemen possessed was the frog’s bone. Possessors of this talisman were known as ‘Toadmen’. The bone itself was forked like a wishbone (possibly the pelvic girdle or breastbone). It resembled the V-shaped band of horn on the underside of a horse’s hoof. English speaking folk noticed that in dryer seasons this part of the foot became less spongy and took on more of a dried up and shrivelled appearance, just like a frog would if deprived from water and so it was more of a ‘nickname’, as such it was used more than any original technical term and it stuck as the majority of less or uneducated folk would understand what the ‘frog’ was rather as a common simple term rather than some latin/other complicated term. The reasons are vast & varied, so choose your favorite! Next PostNext Animal Rights vs. Animal Welfare – do you support the right one?